I first read The Catcher in the Rye when I was 15 and difficult to impress. 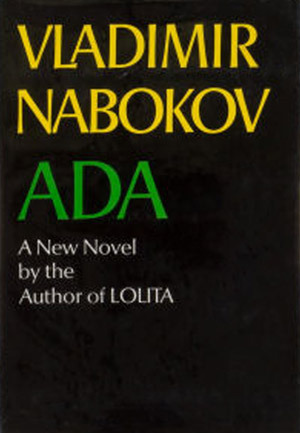 Although I liked the novel to some extent, it always ranked, for me, as one of those classics whose popularity—and status—was confounding. Especially when I began to hold it up against comparable books like The Bell Jar (one of my personal favorites, which is sometimes regarded as its female counterpart) I simply could not justify its reputation as the definitive novel of adolescence. The only thing it seemed to have on its side was the fact that it came first. Revisiting it almost a full decade later, I find that my initial judgments may have been a bit harsh. The Catcher in the Rye captures the teenage psyche in a way that I, as a teenager, may have been embarrassed to recognize was convincing. Holden Caulfield’s anxiety over growing up, and his belief that he is the only one feeling the way he does, is no doubt exactly what I (not to mention every other teen) felt at the time I was reading the novel. The very aspects that I was critical of—Holden’s excessive, often misguided angst, his repetitive use of the word “phony,” his inevitable self-centeredness—were things that I was guilty of, in some sense, as well. During this reading, in contrast, I was able to look back fondly on that time of emotional tumult and to appreciate Holden both for his virtues and his flaws. In fact, in spite of his poor vocabulary, predilection for rambling, and general hatred of mankind, I found that Holden Caulfield is actually pretty good literary company. The Catcher in the Rye begins with Holden promising not to go into any of that “David Copperfield kind of crap” about his birth and childhood, and this colloquial, even crass, introduction serves as a sort of manifesto for the novel as a whole. 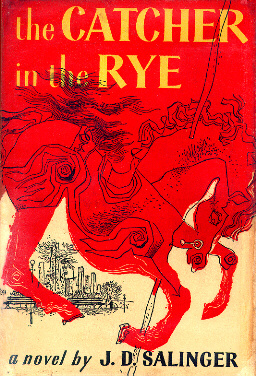 From its informal language, to its convincingly angst-ridden, unpolished narrator, The Catcher in the Rye feels much more like a popular teen novel than a classic work of literature. Salinger writes in a way that is assured to the point of seeming effortless; Holden’s voice is so clear and steady that we readers may be tricked (as indeed I believe I was at 15) into believing that the novel is slight and uncomplicated. To be sure, the plot is minimal, and all of the characters except for Holden flit in and out of the story with little fanfare. There are tiny episodes that don’t seem to add up to much; really, the only constant is Holden’s absorbing commentary. This is precisely the point: the book is all about Holden and his unique narrative voice. If you can get past his obsession with who is authentic and who is a “phony” (hint: almost everyone, from his cocky roommate to his favorite history teacher, is a phony of some variety), and you can accept that, while well-read, Holden narrates precisely like a 16-year-old and not an articulate adult, then you should be able to appreciate his often shrewd observations. Holden is both a more sensitive and a sadder character than I remembered. Indeed, the whole book had a more melancholy air, rather than a rebellious one, when I read it this time. Although I remembered the basic plot—that Holden gets expelled from his prep school and must bide his time around New York City before returning home on the expected day for Christmas break—I failed to attach any particular mood to the story. I knew that Holden wandered around a lot, complained a lot, got into a fight with a pimp and accidentally broke a little girl’s record into a hundred pieces, but I think I was under the impression that Holden was supposed to be some untouchable malcontent hero, somehow beyond any emotional response. This time, I found him brimming with emotions far more complex than simply the anger that hovers near the surface. Holden is confused and desperately clinging to the simplicity—and authenticity—of childhood…but he is also, perhaps most significantly, still recovering from the death of his younger brother Allie only a few years prior. He is sad, directionless, and lonely, and his longing for real human connections is really what drives the plot. Indeed all of the episodes I had thought were meant to illustrate Holden’s aloofness now speak to me of his loneliness. His freedom is not freedom at all, but a growing isolation that could destroy him. It is easy to dismiss The Catcher in the Rye when so many books have been inspired by it, and have translated its essence into more contemporary stories. Certainly, Holden can sound silly to the modern teenager’s ear, since his once-current slang is now hopelessly dated. Even his feelings are a little too quaint; his shock over seeing profanity scratched into the wall of his old elementary school is, sadly, a bit hard to believe nowadays. Still, Holden is a character who can connect with readers even today, if only they will listen. He speaks earnestly, without a filter, and he wants the same things any teenager wants. His story is moving because it is so relatable; though none of us will know Holden’s New York, or, one hopes, his family tragedy, we still understand (even those of us who are no longer teenagers) his desire to be a part of something without compromising his ideals. Though we are witnessing Holden’s fall, we are still optimistic that he will survive. For, in the end, adolescence is simply something to be endured. Holden Caulfield’s wintry purgatory, in some ways, represents adolescence as a whole: it is a time of confusion, isolation, and wandering that one can only emerge from by choosing where to go.